We are a full service Garden Center serving the entire San Francisco Bay Area and located in the South Bay. We carry the largest selection of Grade #1 roses from rose producers all over the U.S. and Canada. They include Bakker Nurseries, Certified Roses, Hortico, Jackson & Perkins, Pickering (providing most of our Old Garden Roses), Star Roses, and Weeks Roses. We sell over 50,000 Grade #1 bare root roses each year. Grade #1 roses have at least three strong canes at least 5/16" in diameter. (For a picture and a description, see our Anatomy Guide.) You can buy cheaper roses, but they are almost certainly Grade 1½ and Grade 2 roses, and they are are inexpensive for a reason. The canes are thinner and fewer, will not produce as much, and may not last through the next winter. When you shop from Regan, whenever possible we offer Grade #1 roses, so you get what you pay for, and you'll save more than you spend on lower grades. Roses are not a side business for us, they are our primary business during the winter season. 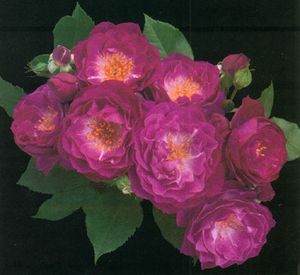 Regan Nursery began carrying a large inventory of bare root roses in 1965. Today we are the one of the largest suppliers of Grade #1 roses in North America, carrying nearly 1000 varieties of roses every year. We supply roses from all the major producers across the U.S, along with many hard-to-find roses from smaller producers as well.We have researched and found the most cost effective and quickest way to ship our roses to you. When you order, you tell us when you want us to ship them to you. When you have questions, we have answers. If we can't answer your question immediately, we'll find someone who can. With our huge selection of Grade #1 roses, the variety of our selection, along with our value-priced inventory, we are your one-stop-shop for bare root roses.